What is The Best Nail Fungus Treatment? Did you take off your shoes and discover a black toenail? Once you’re over the bad surprise of finding it, it’s important to determine the cause to apply the best possible treatment. Is it black toenail fungus? Was your toe injured? Could it be related to cancer or diabetes? Most often a black toenail is caused by an injury or a fungal infection. Sometimes a home treatment solves the problem. Sometimes you should visit a doctor. What’s the right thing to do? Keep reading to learn how to identify, prevent, and treat black toenails in the most appropriate way. It’s important to figure out why your toenail color changed so you get the right treatment. Let’s examine the most common reasons a toenail goes dark. In some cases, you’ll know exactly what happened to your toe. If you stub your toe or drop something heavy on it, it will bruise. The toenail turns black when an injury causes bleeding under the nail. Your injury may include intense pain and swelling. Your toenail gets sore as blood collects and causes pressure. If your toe isn’t broken, and the nail is intact, the toe should heal on its own. Expect the toenail to fall off. It can take up to 6 months for it to regrow. Repetitive toenail trauma occurs when you wear footwear that doesn’t fit right. Running in ill-fitting shoes is a common cause, called Runner’s Toe. If you find a black toenail after your workout, your shoes are too tight or too loose. The toenail is damaged as it makes repeated hard contact with the front of your shoe. The constant hitting causes blood blisters to form underneath the toenail. You can avoid repetitive toenail trauma with properly fitted shoes. The trauma ranges from mild to severe. Mild trauma is discoloration underneath the nail with little to no pain. If your trauma is mild, leave it alone. The black toenail will grow out. Severe trauma is large bloody blisters under your nail. The blisters make your toenail partially or wholly detached from the nail plate. A partial detachment hurts more than a completely detached nail. If your nail is completely detached it takes 3 months to a year for a new nail to grow in. Another common reason for a black toenail is a fungal infection. Feet are prone to the fungal infections because fungi love dark, damp environments. It’s easy to catch a fungal infection in a locker room or swimming pool. Infections like Athlete’s Foot can spread to your toenails. The result is toenails in various shades from yellow to black. You may also spot a chalky white substance on your nail bed. The severity of the black toenail fungus infection varies. Most cases are treated with topical medications like EmoniNail which is one of the most efficient topical treatments today. Some extreme infections may need prescription medication (read about side effects below) or surgical removal as a last resort when nothing else could help. Fungal infections are the main reason toenails get thick and brittle. A thick, black toenail can be painful if it presses on your toe. If you don’t treat toenail fungus it can spread throughout your feet, or to other areas of your body. A severe infection can cause permanent damage so don’t take it lightly. A black toenail that appears without trauma or fungal infection could be melanoma. Melanoma is a skin cancer. It begins as a dark line that stretches the length of the toenail. Slowly, it becomes wider. The toenail may crack. If a dark spot is from a blood blister, as the nail grows the spot will move and gradually disappear. If you have a line or spot that stays put for weeks you should have it examined by a doctor. If you suffer from a medical condition like anemia or diabetes, it can also cause black toenails. Discoloration related to a health condition must first treat the underlying causes. Let’s look at ways to prevent black toenails. We’ll cover those caused by fungal infections, injury, and repeated trauma. Follow these steps to prevent fungal infection on your feet and toenails. If you do get an infection, use these tips for faster healing. Good foot hygiene is the best way to keep your toenails fungus free. If you have black toenails because of repetitive trauma, these suggestions can help. Give your toes enough room so they don’t hit with each step. Add a cushion, and experiment with different ways to tie your shoes. An injured or traumatized toe needs fast treatment to keep it from turning black. Prompt home care can prevent an infection, and help it heal faster. If swelling and blisters are unbearable, a doctor can drain the blood to relieve the pressure. The best scenario is to catch a fungal infection early. Then, you can treat it at home with over-the-counter topical treatments. These are easy to use and don’t require a prescription. The best ones are available online. Severe black toenail fungus cases may require a prescription. While oral prescription medications are effective, they are expensive and have worrisome side effects like diarrheas, upset stomach, and potential liver damage. These side effects might be scary since even cases of death were reported. That’s why people affected by black toenail fungus prefer to avoid prescription drugs and look for other solutions. Laser treatment is another option. It’s very expensive. A one-time treatment can cost $1,000. Additional treatments are $500 each. The cost often isn’t covered by medical insurance and there is no guarantee that the nail fungus won’t recur. Do a Google search and you’ll find lots of home remedies like chlorine bleach, beer, vinegar, Vicks Vaporub, tea tree oil and more. These remedies aren’t proper treatments for toenail fungus because they rarely obtain definite results and they are difficult to apply daily over a long period of time. Most people opt for over-the-counter topical treatments because their ingredients are blended in therapeutic dosage for maximum effect, they have no side effects, and they are easy to use. As mentioned above Emoninail is the leading topical treatment currently on the market. We are proud to empower consumers affected by nail fungus. 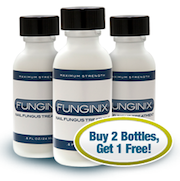 We do this by providing the latest information and recommendations on fungus treatments. Visit Nail Fungus Consumer Review for quality reviews about black toenail fungus treatments. 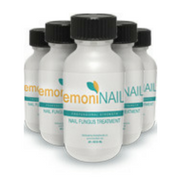 Learn more about Emoninail to get rid of any kind of nail fungus as fast as possible. Visit our main website to get a broader and deeper picture about the different treatments available to get rid of toenail fungus fast. Articles on this website are for informational purposes only and should not be used in substitute for the advice of a physician or other medical professional. Please consult a doctor with any questions or concerns you might have regarding your condition.